WELLINGTON, New Zealand - Aug. 20, 2018 - PRLog -- Wellingtonian author Zamm Zamudio's debut book - 'Intuition: Discover the Inner Workings of Our World Book 1' - was awarded the 5th place at the recently concluded 2018 Ashton Wylie Charitable Trust Book Awards. The awards ceremony was held at the Hopetoun Alpha, 19 Beresford Square, Auckland Central. 'Intuition' dissects the fundamental processes and elements that make intuition genuinely unique for every individual. Ms Adonia Wylie, writer Joan Rosier-Jones and journalist Mike Alexander - the judging panel - selected the winning work from the five finalists. 'This year's finalists were of exceptionally high quality, each of them beautifully produced, compelling works. It made our job in selecting a winner and the runner's up very difficult,' says Ms Wylie. 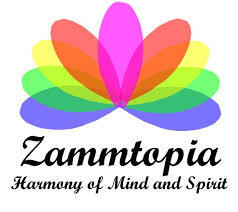 Zamm Zamudio is a highly recommended intuitive consultant who has guided hundreds of individuals, from all walks of life and from all over the world, to find and pursue their paths with hope, clarity and confidence. She had lived across the globe and worked in diverse industries which gave her an evident appreciation of the different cultures and their distinctions reflected in personality, communication and learning styles. The Ashton Wylie Charitable Trust was set up following Auckland businessman and philanthropist Ashton Wylie's death in 1999 with the mandate of having human relationships as its focus, and its primary intent is to promote more loving relationships. It continues to significantly encourage and support writers in the Mind Body Spirit genre in New Zealand through its annual book awards - generously bestowing over $250000 in cash prizes to the winners since it started.